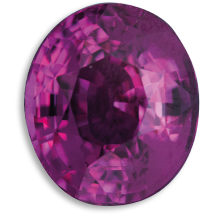 No other gemstone has a range of colours as rich as the Tourmaline. 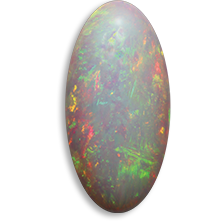 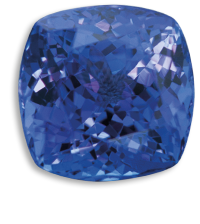 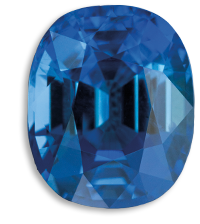 In 1703, the Dutch imported it from Sri Lanka to Europe, and it is when that these new gemstones received the Sinhala name of “turamali”, whose meaning still remains unknown. 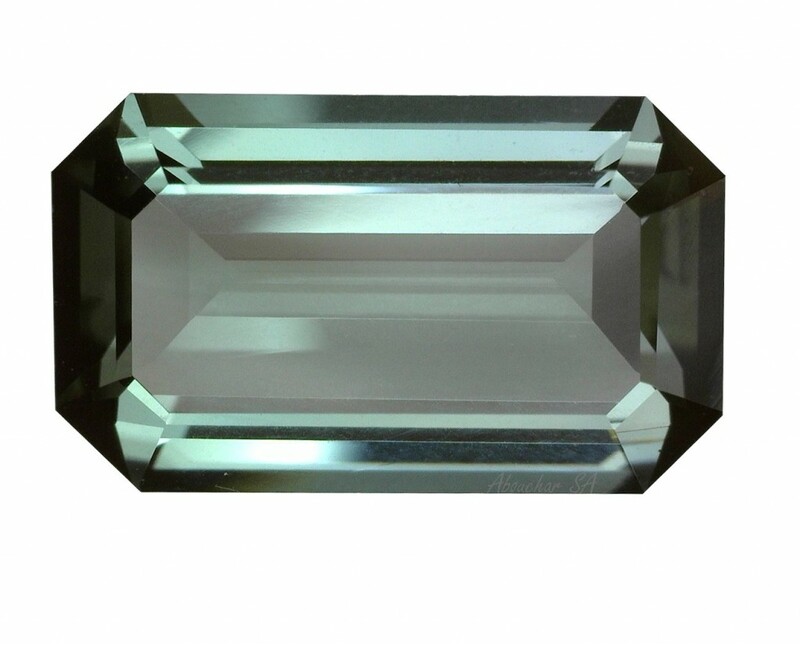 Tourmalines of one colour are rather rare. 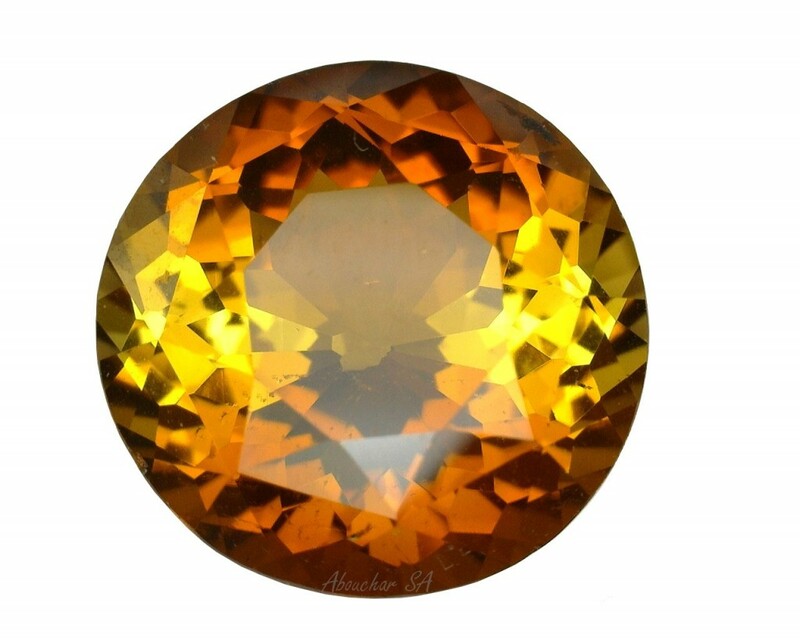 Most of the time, the same crystal presents gradients of one colour or more several contrasting colours. 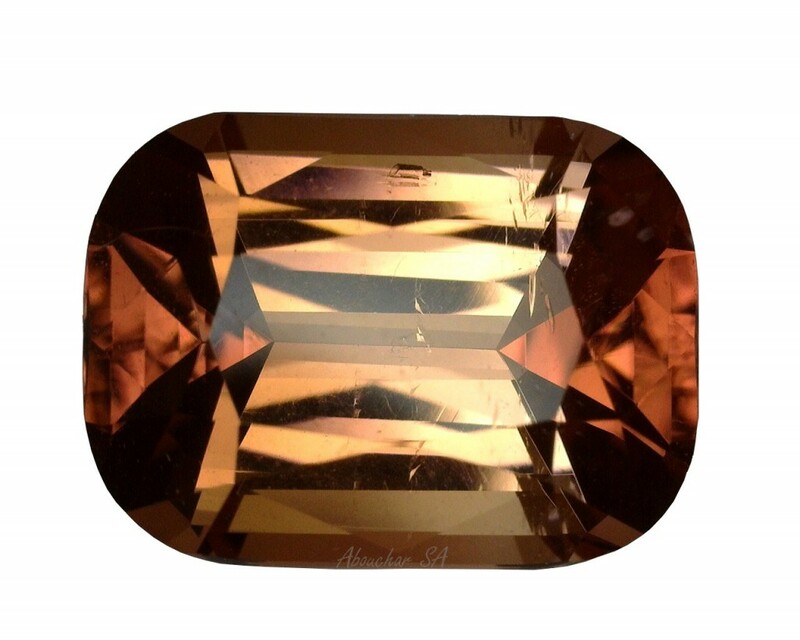 Sometimes these colours mix into one another, and other times they are juxtaposed. 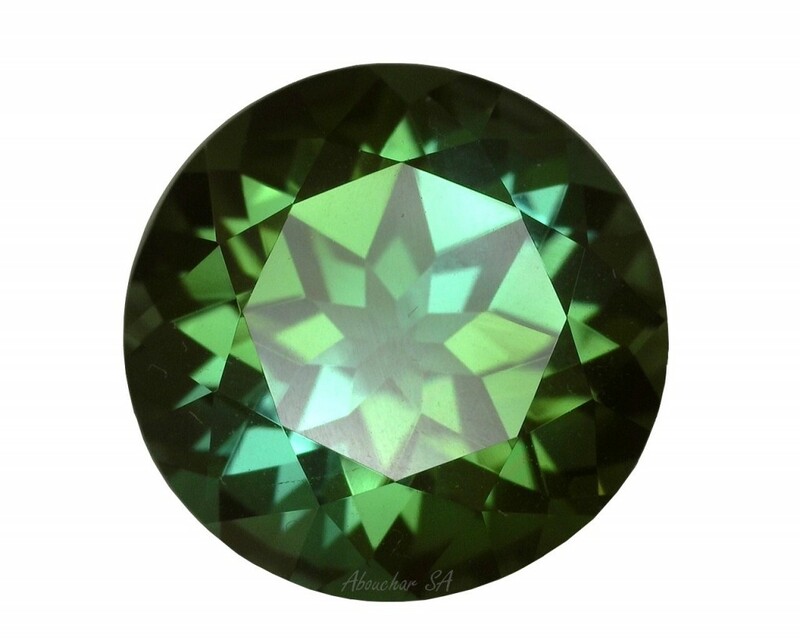 The red Tourmaline surrounded by a green layer is called watermelon Tourmaline. 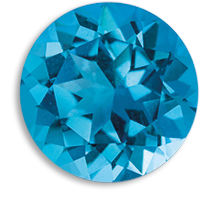 In addition to Sri Lanka and Madagascar, the most productive deposits are located in Brazil (Minas Gerais and Bahia). 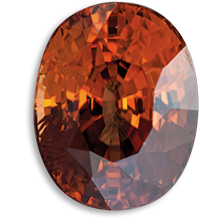 Mozambique also produces good red and bicoloured stones. 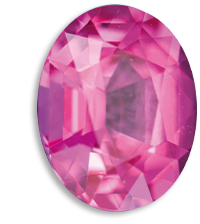 Pink, bright red and green are the most popular colours. 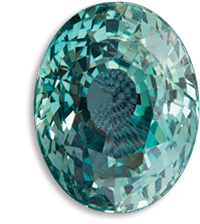 A strong pleochroism of dark gemstones required to facet them so that their table is parallel to the main optical axis of the crystal. 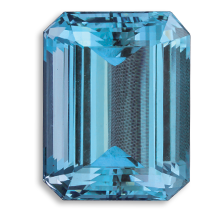 To heighten the colour of the clear gemstones, the table must, on the contrary, be perpendicular to this axis. 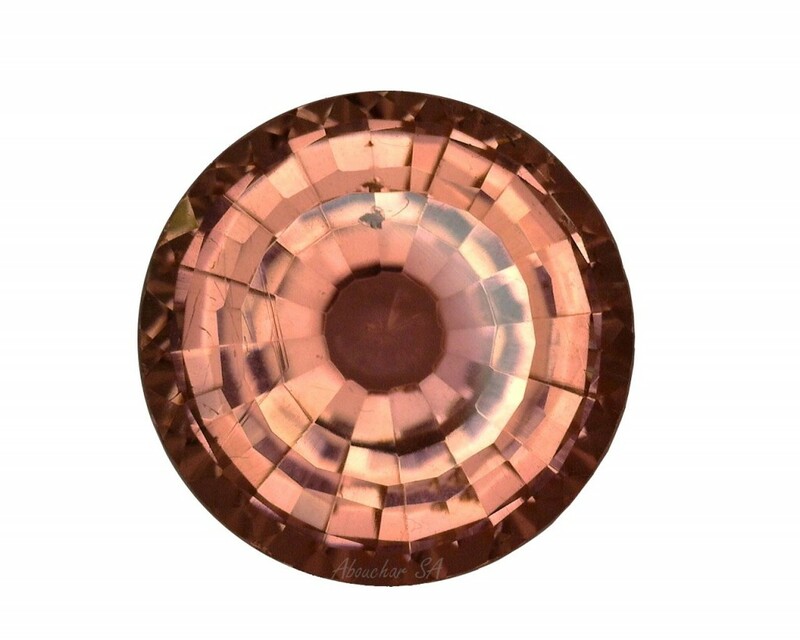 Tourmaline can be heated to get one of these desired tones.